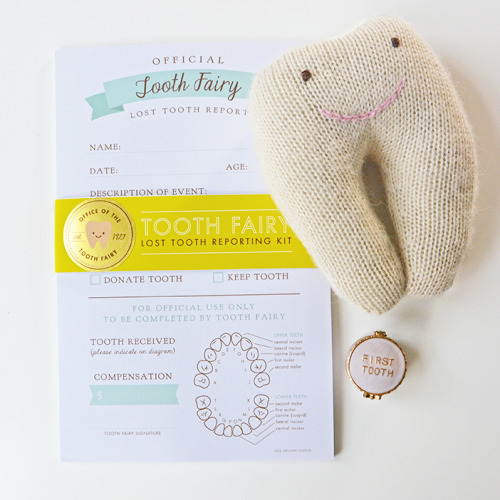 If you're the sort of parent who likes to celebrate all the little milestones of childhood, this kit will have you covered in the Tooth Fairy department. 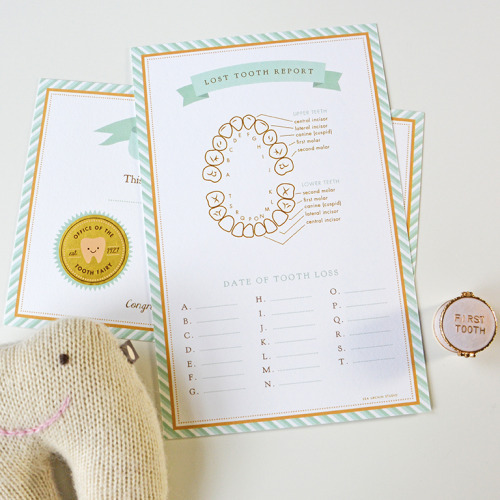 It comes with 25 reporting forms in a handy notepad, a commemorative gold-seal certificate (to be signed by the Tooth Fairy), and a record keeper for recording each tooth loss. 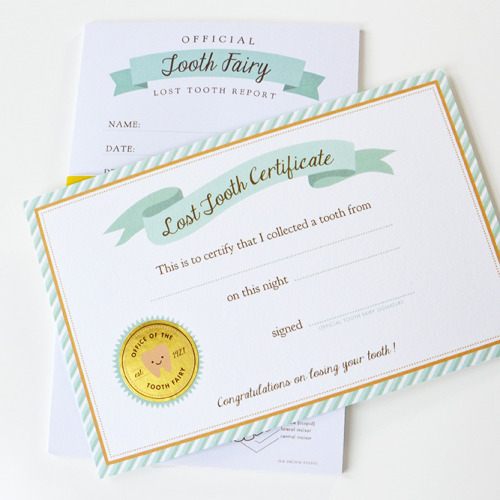 Just add fairy dust and a small reward!